A well-rounded impression of what the luxury vinyl plank is like in the kitchen. If you’ve already renovated a kitchen or are just beginning the process, you know how overwhelming the details can be! Among all the parts, you probably also notice the importance of flooring for your kitchen – it impacts your general kitchen design and your daily activities. In this article, we are trying to give you a well-rounded impression of the luxury vinyl plank in the kitchen. For an active kitchen, it is easy to get mixed results from the effects of frequent walking, moisture, spilled food, flood, dragged and dropped objects, and sunlight. In such an environment, Luxury vinyl plank has its unique advantages. Durability: Luxury vinyl plank is extremely durable. For high traffic areas like kitchen, luxury vinyl plank can last for years without any problems. 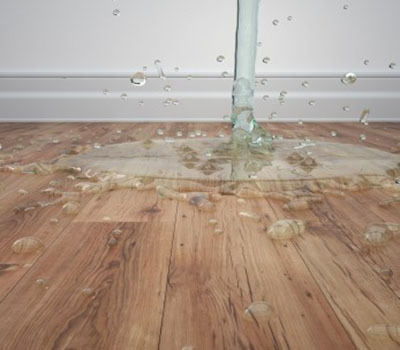 Since luxury vinyl plank is water-proofed, spilled food and flood are also not a problem. 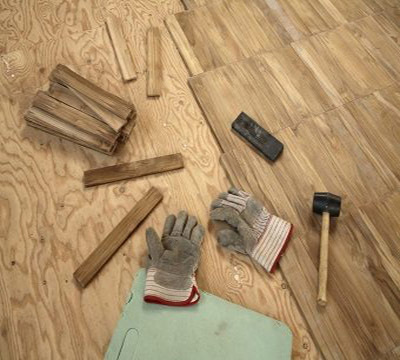 The luxury vinyl plank can usually survive in spilled food and flood. Additionally, the incredible durability of luxury vinyl plank makes it the most nonperishable flooring among all types of flooring. 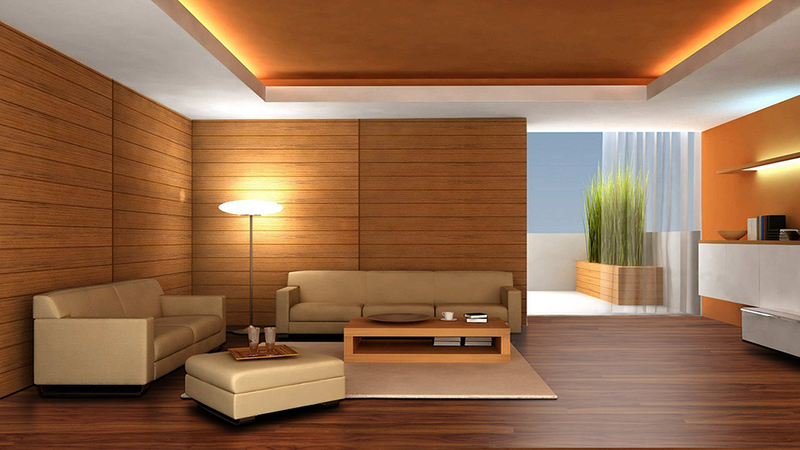 Interior Design Style: the flooring is an important part of any interior design. This is especially true for kitchen design. The flooring must be beautiful and add a sense of personality to the kitchen space. Luxury vinyl plank has a wide range of colors and patterns that mimic hardwood. 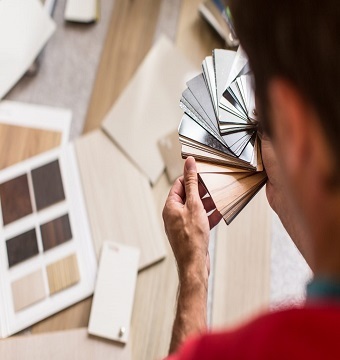 You name an interior style design and we will find you a luxury vinyl plank product to match! Shaker, urban loft, farmhouse, shabby chic, coastal, contemporary or rustic. Any of these kitchen styles can be complemented with a luxury vinyl planks. Return on Investment: luxury vinyl planks definitely has an edge over hardwood when it comes to the budget. Luxury vinyl planks reflect the look of real hardwood with a much lower price. On the other side, if a buyer is not an enthusiast of solid hardwood, they will not relish the extra work involved in pulling luxury vinyl plank up and starting again with hardwood. Thus, luxury vinyl planks usually have a much higher return on investment. Besides luxury vinyl plank, Laminate flooring is another popular alternative to hardwood. Laminate flooring also has a variety of styles that realistically simulate wood with very low price. However, when it comes to the kitchen, the luxury vinyl plank decidedly beats laminate. For one thing, the water-proofed luxury vinyl plank performed much better than laminate flooring in the conditions of flood, moisture, and food spills. For another thing, the luxury vinyl plank is way more durable than laminate flooring. This makes luxury vinyl plank a preferred choice when considering the occasionally dragged and dropped objects in the kitchens. Due to the nature of a kitchen, the luxury vinyl plank in the kitchen easily becomes dirty. Maintaining luxury vinyl plank is not difficult. In fact, a good maintenance routine will elongate the life of your luxury vinyl plank for many years. 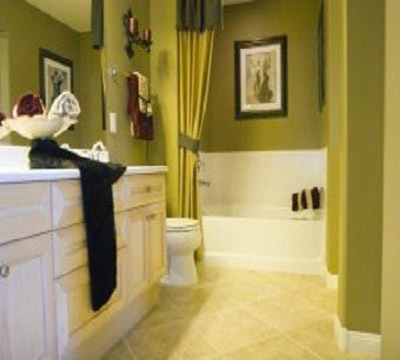 Place rugs: you may want to place rugs right by the sink, right on the area where you tend to stand when washing dishes. 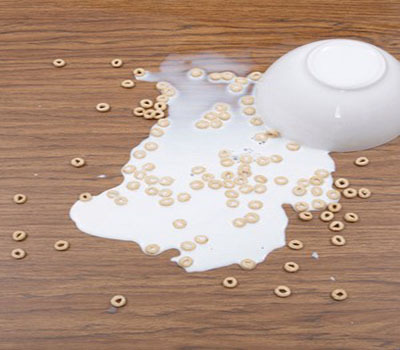 Clean the spills immediately: regardless of the kind of liquid that get spilled on your vinyl floor, make sure that you immediately clean it up. Whether it is a juice or simply a cup of water wipe it off immediately and dry the floor. Use a vinegar for washing: Vinegar is a harmless cleaning agent that can help to lightly clean your luxury vinyl plank and keep them to look fresh just like they are brand new. Deep cleaning: when deep cleaning, make use of a dish soap that could clean up deeper dirt on the floor. You can simply mix the apple cider vinegar solution that you have prepared with a tablespoon of dish soap in your kitchen. Use Baking Soda: you can also make use of a baking soda paste in cleaning the stains on your luxury vinyl planks. To prepare this baking solution, simply mix enough water to the baking soda in order to create a thick paste. Then grab a soft and clean cloth and rub it on the paste and wipe the cloth to the stained area on your floor. Classic Chestnut: Classic Chestnut represents where beauty and function blend together. It is reminiscent of traditional style. Caramel Walnut: Caramel Walnut brings positive energies into your kitchen. Natural Hickory: Natural Hickory reflects the way today’s kitchen style. 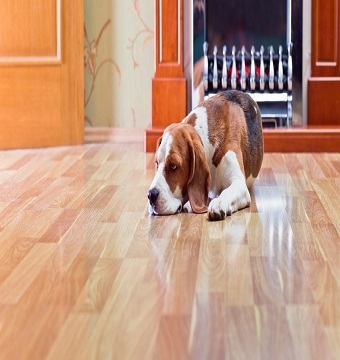 Enjoy the look of fine wood floors without the cost and maintenance. Ferma Flooring is a trusted name in the flooring industry for 14 years, we review our entire line every year and develop new products, wood species, and colors that are in fashion and demand. 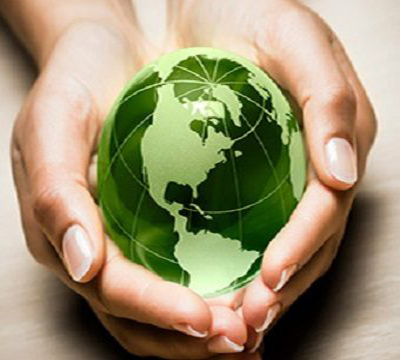 We keep in touch with market trends to be sure we offer what the consumer desires.